19+ Clever Ways To Lower Your Cell Phone Bill Today! 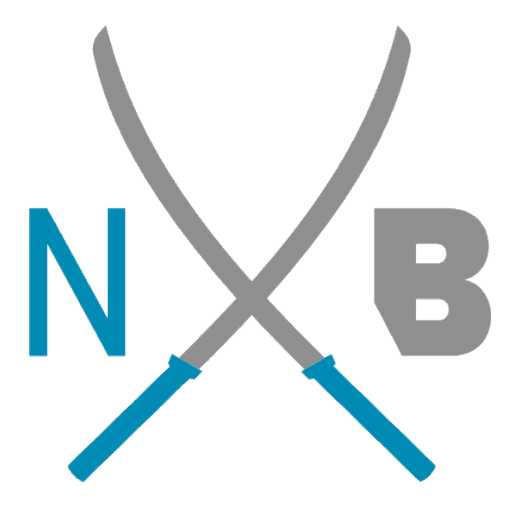 Quick financial wins is a major focus here at NinjaBudgeter and one of the fastest way to trim from your budget is to lower your cell phone bill. Here’s the deal: the cost of cell phones is getting out of hand. My family is now up around $170/month, and that’s just my wife and I! It’s only going to go up as our children get older and need (or want?) phones of their own. My frustration with the constant price increases led me to do a bunch of research on how to reduce my monthly cell bill. Below are the top ways that I have found to get your cell bill back under control. I have tested many of these personally. Keep reading to learn how you can get your bill back down where it belongs! 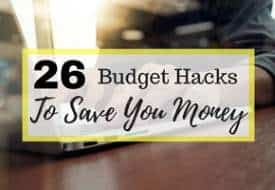 Before you commit to a plan, you should go through a few months of previous bills to make sure that you’re only paying for things that you actually use. I get that it feels more secure having a boatload of minutes and texts just in case, but it’s easy to overestimate how much you actually need. That can add up to a higher monthly bill. 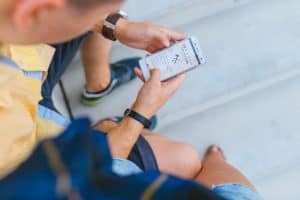 If you’re worried about overages, there are a lot of great apps out there that can track how many texts you send/recieve as well as data and talk minute usage. If you have access to a corporate plan through the company you work for, you should take advantage of it. Corporate plans can be considerably cheaper than what’s available to the public and you could potentially save a couple hundred dollars per year. If you use your phone for work purposes at all, you may be able to negotiate your employer paying a percentage of your monthly bill. I have a portion of my monthly phone bill paid by my employer and I know others who do as well. This is also an easy concession to get from an employer who is not currently willing to consider a pay raise. Most phones have this ability natively now, but there are also a lot of great apps out there to remind you of what your data usage is. I find that mine varies a little from what my carrier says I’ve used so it’s best to check with your provider every now and again to make sure you’re on track. Ever thought about just dropping data altogether? You can save a lot of money by going data-free. There’s free wifi almost everywhere nowadays. If you have wifi at home as well as work or school, do you really need to have data anywhere else? If you like to watch shows on the bus, Netflix now allows you to download shows to watch when you’re offline. Google Chrome has a data saving option that you can enable to save on data costs. There are also lightweight browsers such as Opera available that use less data than a standard browser. 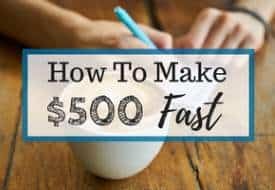 If you’re paying for 500 minutes of talk time per month, and only using 50, you’re spending too much. Check over your usage regularly to make sure that you’re not overspending on talk minutes. If you’re tired of expensive long-distance charges from your carrier, there are a lot of options out there. Prepaid long distance cards and Skype are great options for general calling and Facebook Messenger, WhatsApp and other apps allow you to call friends for free. Speaking of Whatsapp and Messenger, you can move all of your messaging over to one of these services and avoid having a texting plan. If you’re paying for more than one phone within your family, you seriously need to check out family plans. Most carriers have family plans that allow you to share your minutes and sometimes even data between your family members. This ensures that less is going to waste by being unused in a month. Have you ever heard of the Loyalty Department? Every provider has one. The loyalty department is their last line of defense against losing paying customers. Usually, staff in the loyalty department can offer you better plans that the first-tier customer service agents don’t have access to. Try calling and asking for a better deal, if you can’t get what you’re after, try asking for the loyalty department. I worked for a company for two years that didn’t have a traditional business line. 100% of their calls came in through Skype. This is easier to do when you’re replacing a landline but it’s possible for a cell phone. If you’re paying too much for minutes, consider getting on a data-only plan or pay for minimal minutes and puchase Skype credits for talk instead. I’ve found the call quality to be fairly good and it’s super cheap. If you’re not getting the deal you want, and you’re not tied down by a contract, you should consider jumping ship to another cell provider. There are lots of them out there and they all want your business. A good tactic is to bring a copy of your current bill into a couple of competing carriers and ask who can offer you the best deal. Always. Check. Your. Bills. For real though. I live in an area that’s quite close to the USA. When I’m near the water my phone sometimes jumps onto a Washington State cell tower. The charges for this can be ridiculous. I know that many of you (like me) are sometimes tempted to just pay the bill as it comes and be done with it. Cell carriers make mistakes too though, and you might be paying them for services that you haven’t used. This is where some internet research can pay off. A few years ago I read this article highlighting how I could get onto a plan that is only offered in another province. The plans over there are as much as 30% cheaper than here in BC. Though I was hesitant, I went for it. Boom, it worked like a charm and there were no hiccups. 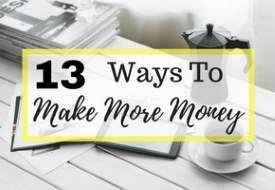 The point is, there’s often something to be gained from thinking creatively and checking out what others are doing to save money in your area. Here in Canada, all of the big 3 phone carriers have a budget brand for those who are more price-conscious. Bell has Virgin Mobile, Telus has Koodo and Rogers has Fido. There are a few others as well. The point is that they use the same network as their parent company…so I can’t see a reason to pay more just to be with a bigger name brand. Carriers have been offering protection plans for a few years now. The deal is that you pay a few extra bucks per month ($15 for my phone, last time I checked), and if you lose, break or damage your phone, they will either have it replaced or repaired. There is usually a deductible for this service between $100 and $200. This starts to add up really fast. $15/mo is $180 extra you’re paying every year just in case something happens. Remember that you have a (usually 1-year) manufacturer’s warranty against defects so you don’t have to worry about that. You’re only protecting yourself against accidents. I’d recommend buying a good case for your phone that will protect it against falls and water and be done with it. A good Otterbox can be bought for less than $50 and will keep your phone safe from almost anything that you can throw at it. If you want to save money on your monthly bill, the easiest way to make it happen in my opinion, is to stop paying a monthly phone subsidy. Carriers make the up-front cost of phones less expensive by increasing your monthly bill, essentially financing part of your phone for you. Before you subisdize your next phone, have a look around at what prices are like on other marketplaces. I’ve seen good deals on Amazon and Ebay, as well as some other markets. There are also a lot of good deals out there on new in box or barely used phones on Craigslist. Sometimes, if somebody is eligible for an upgrade but they already have a phone they like, they’ll take the upgrade and sell it for cash. Warning: If you’re buying a phone from somebody other than an authorized retailer, you need to know how to do it without getting screwed. Read this article to find out how to determine that a phone has not been stolen. Here are some tips on how to inspect a used device. I know folks that have to get the newest version of their phone every single year. It can be an expensive habit. Honestly, I don’t think phone tech has changed so dramatically in the last few years that it makes sense to get the hottest new thing. I recently paid $400 (CAD) for a new phone as I took mine for a swim in the lake *facepalm*. I got the Samsung Galaxy A5, which is similar in specs to my previous phone, the Samsung S7. It’s considered to be mid range the the manufacturer, but I haven’t yet found a task that it’s not up for. The point? You can save a ton of money by buying the phone you need, instead of the phone you want. This is one of my favorite tips to lower a cell phone bill. When you travel, instead of adding on expensive international data and voice minutes, just take out your sim when you arrive and pick up a local pay-as-you-go sim from 7-11 or another retailer when you arrive. 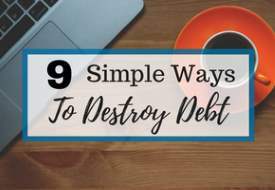 Usually, these can be had for a few bucks and can be considerably less expensive than coming home to a bill that includes international usage. So that’s it for my favorite ways to lower your cellular bill. Do you have any other tips that you’re willing to share? Let us know in the comments! Great article Mike. I’ve made 2 changes that had a huge impact here. First, my wife and I switched to a budget carrier several years ago and it literally cut our price in half right away. I’ve noticed no difference, and actually I have better coverage now than I used to. The second thing was to buy cheap phones. I had a few new phones with all the bells and whistles, but I realized I only used the basics and there was no need to pay more. My last two phones I’ve paid no more than $25 each and they’ve been more than adequate. We’re on a budget carrier as well, I’m not sure why anybody would use a big-brand. Also, good call on the cheap phones. At this point, I think they’re just selling us stuff that very few people are actually going to need/use.